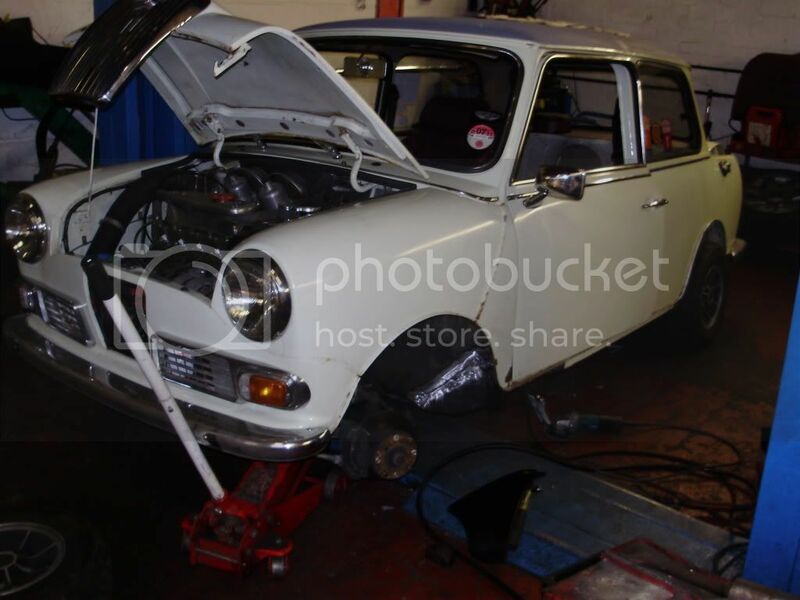 Hi this is my 66 hornet project it needs a bit of welding i have already had the A panel and floorpan welded in but it still needs door bottems and a few other bits before body work. 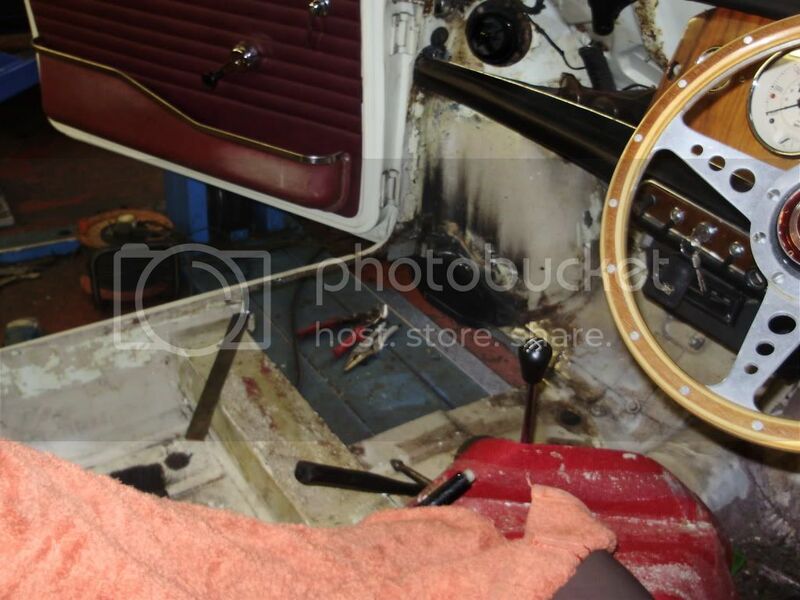 It is fitted with a 1380 engine with twin SU and a straight cut gear box. It has cooper disk brakes and suspension. It has dunlop alloy wheels and yokohama tyres. 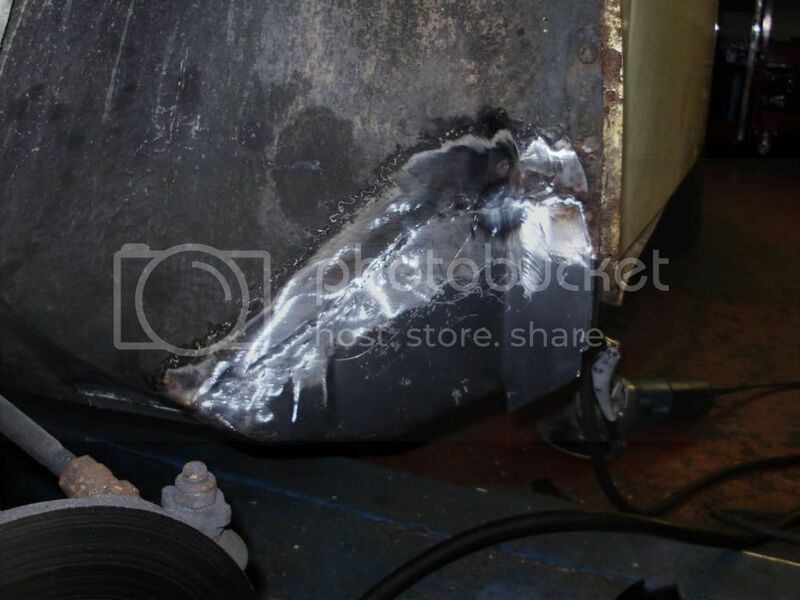 here are some photos of how it currnetly sits but will be updating as work is done. Looks like a great project, loving the Dunlops. Looks a nice little project car. Though i'd have put the floor panel in before the inner wing repair, it's easier that way! But did you say in your intro thread it's your first car? Hope you can get it insured; insurers don't like young drivers and modified cars. I owned this car way back in 1994! (Melanie it was nicknamed!).. 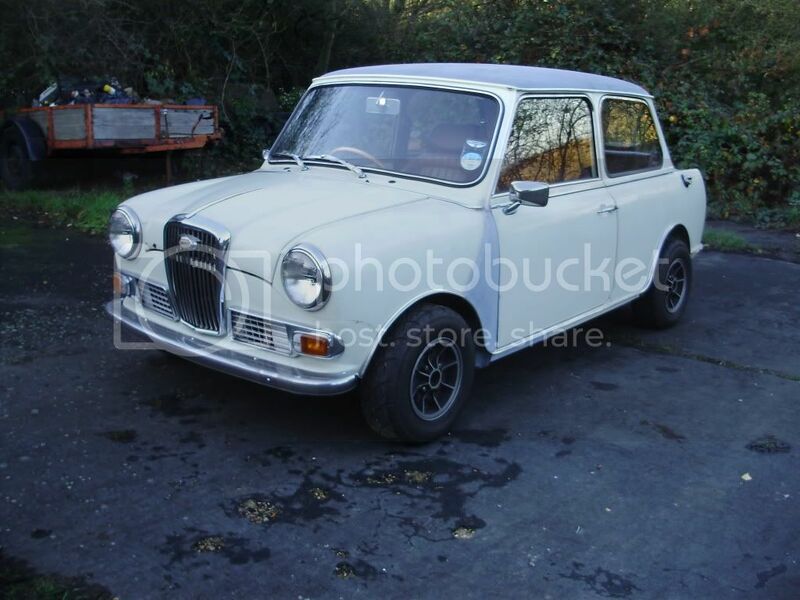 Had a 1.3 engine in her, cream speedo etc, and an immaculate interior!. She had a red roof then!. Anyway, I sold it in 96(?) to a chap that worked in the mini shop in Enfield. Enjoyed driving her!. Good to see its still around!. I brought the car off a guy in mini spares last year. I have the interior and is still in good condition. I don't think i will get insured on it but it won't be ready for a few years yet. Herts insurance are good. I have used them on and off for years. Nick wrote: Herts insurance are good. I have used them on and off for years. But they still won't touch a young male driver on a modified car - trust me, my son (19) has asked for quotes. 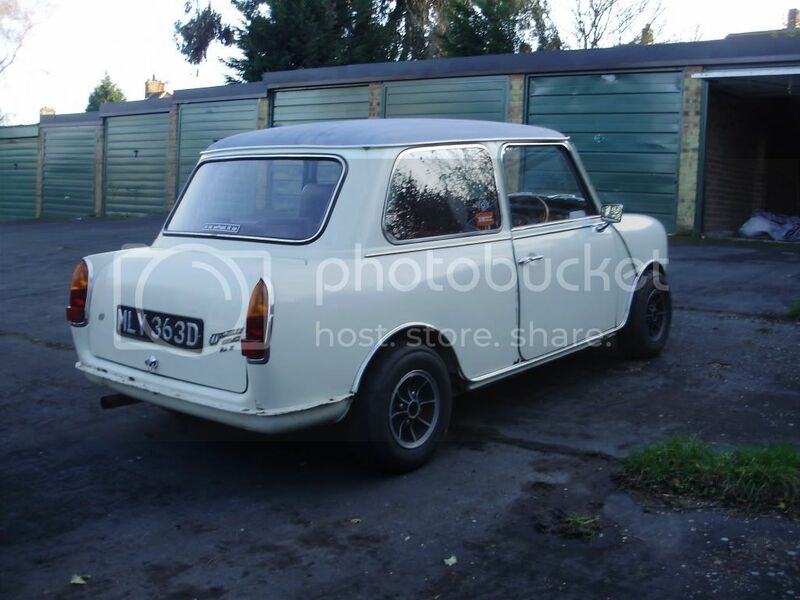 My daughter at 22 can get affordable insurance on a Mini with serious mods, but not my son. Todays plan is to fit the new bonnet and get the doors to fit better. Welcome to the forum. Are you still going to keep her old name of "Melanie"? Don't forget you can join the register properly for only a fiver! Thanks i don't realy name cars yeah i will join the register. Hello and welcome. Looks like a sweet little car. Everyone says they don't name their Elf/Hornet...and then...they do, LOL! Anyway, Melanie is a nice name, saves you trying to think of a new one. How cool that her previous owner is here! I'm having to write to the previous owners of Coco to see if they can shed any light on her history, you already have a fair bit of Mel's. All the best and good luck with your project, will be happy to watch it come along. I didn't intend to name my car, but he sort of named himself. Funny story involved. » 1966 Dodge Power Wagon W200 restoration.